Thanks to the wonders of scheduled posts, I am currently hopefully sunning myself in Galician Spain. So I thought I would leave you with something I knocked up after raiding the fridge and cupboards to make the most of the delicious Spanish doughnut peaches I bought shortly before my trip with a little influence from my last holiday to Cyprus. 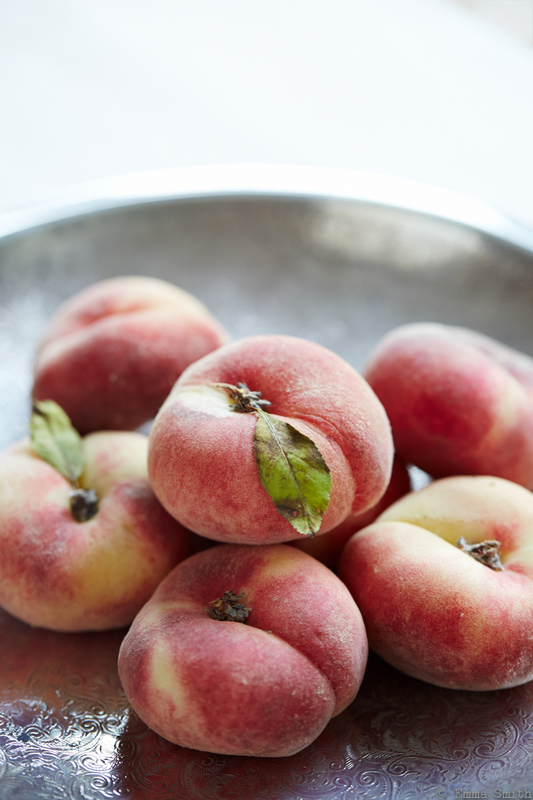 You could easily substitute the doughnut peaches for any similar soft fruit and add a sprinkle of granola for a truly summery breakfast. Cut the peaches in half horizontally, twist and de stone. Heat a griddle pan over a medium heat and when hot, toast the pine nuts until golden. Set the toasted pine nuts to one side. Brush the griddle lightly with melted butter and griddle the peaches skin side down first for a few minutes and then flip over to warm the cut sides for another couple of minutes. 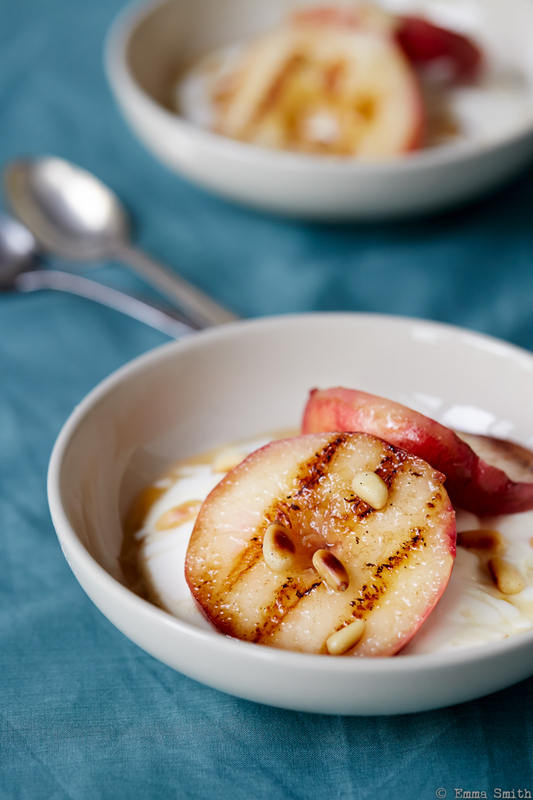 Divide the yogurt between two bowls, top with the warm peach halves, drizzle with honey and a sprinkle of pine nuts.